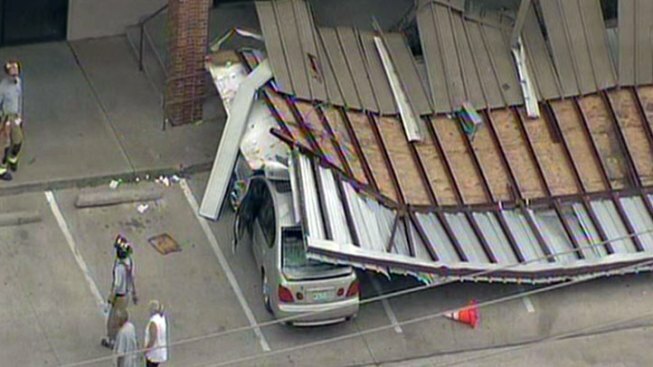 An awning collapsed in Hurst Monday afternoon, damaging four cars. The incident was reported at about 12:45 p.m. at a building on the 700-block of Grapevine Highway, city officials said. Building officials are at the scene trying to determine the stability of the building. While the cause of the collapse has not been determined, wind gusts Monday have reached 36 mph.